World Showdown of Esports announced that they will be holding a $100,000 Fortnite duos tournament on December 30. WSOE began their tournament career with a DotA 2 match between Team Serenity and J.Storm in October. Most recently they held a Hearthstone tournament on December 20 and December 21. The tournament organizer is now kicking off their Fortnite entry with a $100,000 duos tournament at the end of December to top off 2018. Players who are hoping to compete will have to qualify for the event, which will be taking place on December 27 in Manhattan Beach, California. 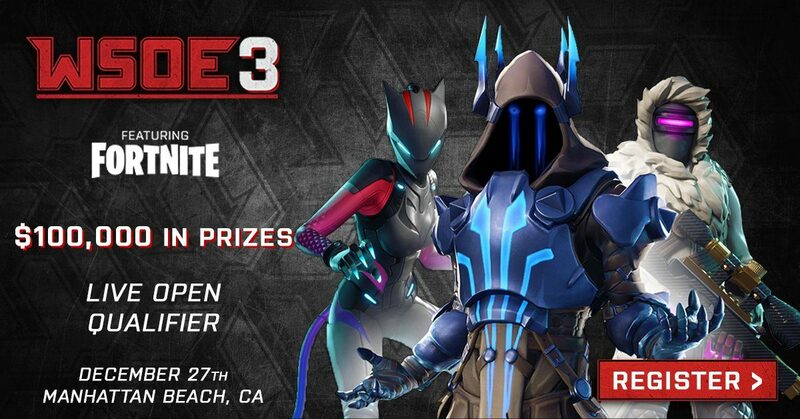 Registration is open to the public and duos who are looking to participate can enter on the WSOE website. The tournament will be full of 50 professional duos from popular organizations like OpTic Gaming, Cloud9, Team SoloMid, NRG Esports, Ghost Gaming, FlyQuest, Gankstars, G2 Esports, and Team Vitality! Fortnite fans who are interested in watching the live event can purchase tickets now for only $10! 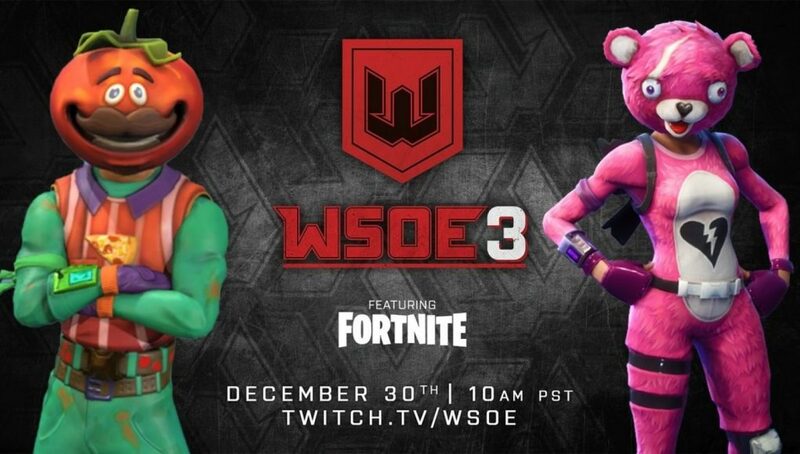 If you are unable to fly to California for the event, the tournament will be live streamed on WSOE’s Twitch channel.